This has to be the easiest Christmas appetizer I ever put together. Easy and delicious. And when you’re a week behind in your shopping, you forgot you had to cram a trip to the grocery store into your already busy schedule, and that potluck party is looming, you want easy, but don’t you dare sacrifice delicious. 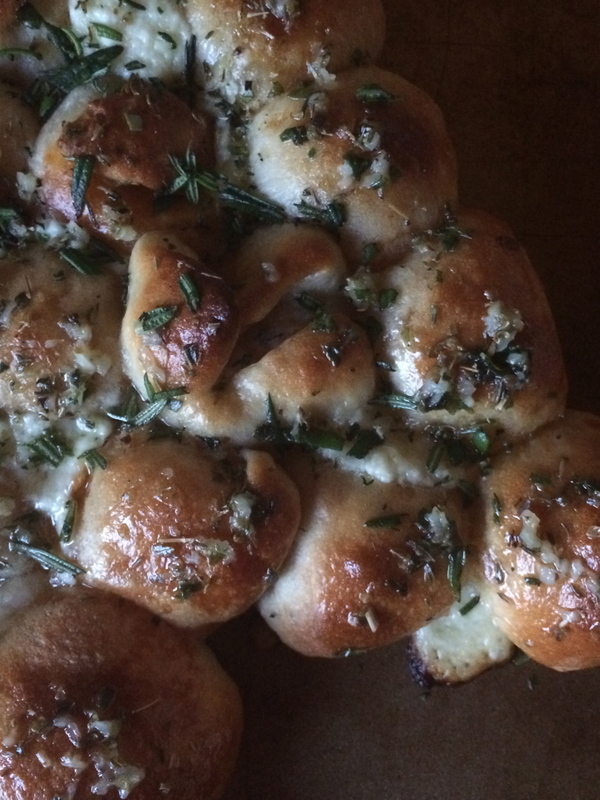 These little dumplings of dough are stuffed with cheese and pepperoni, then baked, brushed with butter, garlic, and fresh herbs. Need I say more? Serve it with a side of pizza sauce, and everyone will look at your like you’re Santa. 1. Heat oven to 400°. Lay pizza dough on a work surface and stretch to a 10 x 15 inch size. Using a pizza cutter, cut the dough into 32 equal squares. In a small bow, combine cream cheese and shredded cheese. Mix well. 2. Add one or two slices of pepperoni to a dough square. Top with a tablespoon of the cheese mixture. Make a ball with the dough, sealing the edges. Place on a cookie sheet in a Christmas tree form as shown in the photo above. Bake for 15 – 17 minutes, or until golden brown. 3. After removing pull-apart from the oven, brush with butter and sprinkle with chopped herbs. Serve pull apart with marinara sauce. 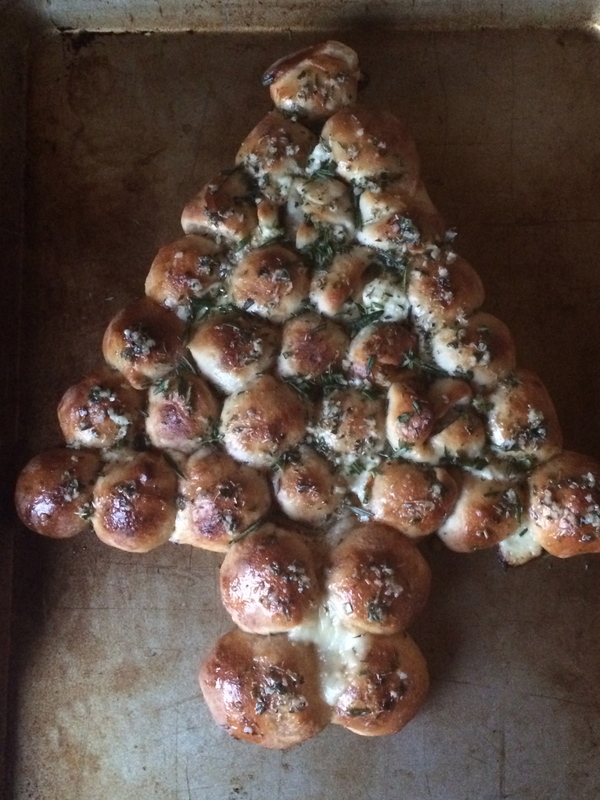 This entry was posted in Uncategorized and tagged appetizers, cheesy bread, Christmas, pull apart bread by theculinarycapers. Bookmark the permalink.